Company’s Innovative Counter and Cabinet Solution Minimizes Waste, Maximizes Source Reduction and Improves Bottom Lines. The C-Flex system's revolutionary design utilizes fewer natural resources, and can be easily reconfigured and reused, providing business owners with unparalleled flexibility at a lower cost than traditional box counters. 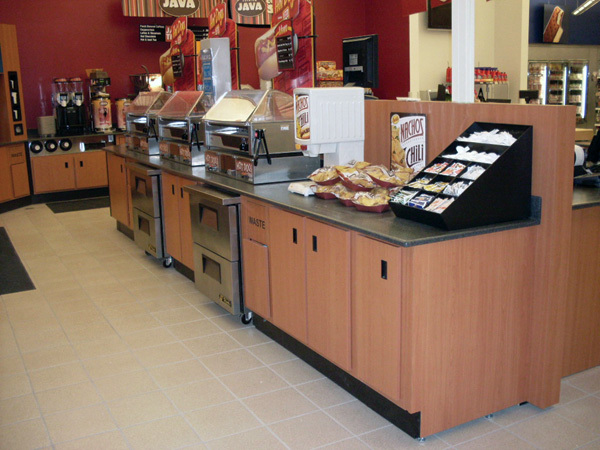 "C-Flex is the most innovative counter system offered in decades. Pan-Oston is leading the way in innovative, green design," said Jim Vance, President of Pan-Oston. Pan-Oston, innovators in the design and manufacture of retail checkout and merchandising display products, offers grocery stores, convenience stores, offices, restaurants and retailers the only cabinet and counter system that fully capitalizes on the “reduce” and “reuse” resource conservation strategies. The C-Flex system’s revolutionary design utilizes fewer natural resources, and can be easily reconfigured and reused, providing business owners with unparalleled flexibility at a lower cost than traditional box counters. 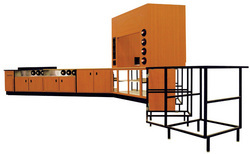 C-Flex's patent-pending, tubular steel frame design uses less wood and steel, and also offers three to four times more durability than a traditional millwork cabinet. Using a standard wood counter and cabinet system, a store remodel results in the existing system’s materials being entirely discarded – a costly and non-environmentally-friendly venture. Conversely, C-Flex’s unique frame can be reused for many remodels and, because only exterior panels or countertops are replaced for a new fixture appearance, landfill volume is reduced by up to 75%. The LEED compatible and lightweight C-Flex system is shipped flat, requiring less shipping truck space and reducing diesel fuel emissions. Designed and made in the U.S.A.,C-Flex is already installed in some of the world’s largest retailers. With C-Flex, remodeling costs can be reduced by up to 75%, which provides business owners the option of more frequent updates and subsequent compounding sales increases that can result from remodels. The modular system is versatile, easily configured and can also be expediently rearranged to accommodate new products and store layouts. With multiple cabinet and countertop options and a wide range of styles and surfaces C-Flex is suitable for a wide variety of retail merchandising usages, as well as in back offices, break rooms and mailrooms. Pan-Oston is offering C-Flex demonstrations delivered directly to business owners’ stores and offices. C-Flex Mobile Innovation Center visits can be scheduled by visiting the company’s website or calling 800-210-2302. A brief video demonstration of the C-Flex counter system, hosted by Supermarket Guru® Phil Lempert, is available for viewing at http://www.panoston.com. 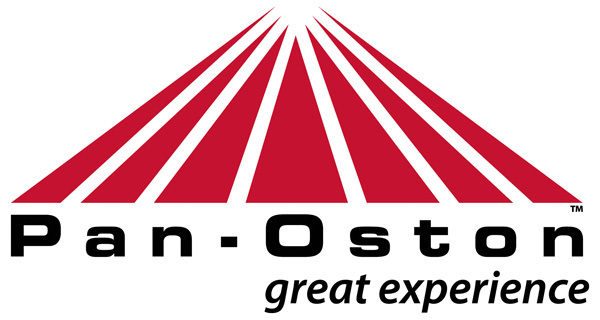 Pan-Oston, a division of Houchens Industries, Inc., is one of the largest employee owned (ESOP) companies in the United States. The company has been an industry leader in the design and manufacture of retail checkout products, as well as a broad range of retail fixtures and fittings, for more than 40 years. Pan-Oston recently launched a nationwide tour, Utopia Across America, in partnership with the National Grocers Association to show independent grocers the latest in front-end technology and innovative store products. For more information, visit http://www.panoston.com.